According to an old Sami story the lake Abmoträsket (Ábmotjárrie) have the same amount of islands as the year have weeks i.e. 52. But I can´t verify that, I have never counted them. What I can verify is the good fishing. 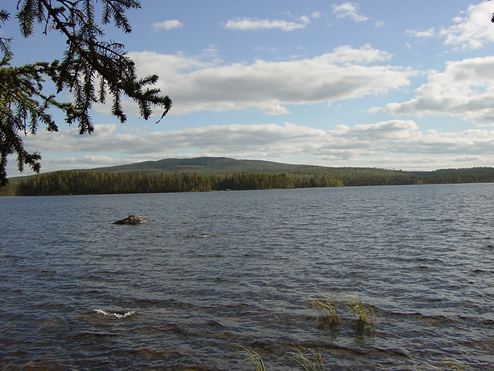 You can catch pike, perch, whitefish and vendace. In one of the islands in the lake Abmoträsket Karl-Axel Andersson has made a resort for grill and leasure.